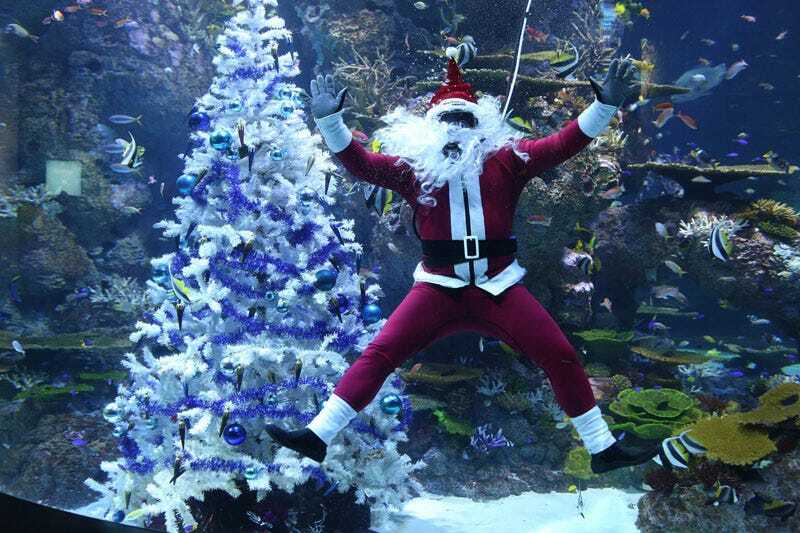 Even under the sea it is the season of goodwill to all sentient beings. But the men and women of the World Aquanaut Security Patrol still need to remain alert during the Festive weeks. It’s been said that even with the miracle of Supermarionation, the characters of the Gerry Anderson Universe had issues of an ambulatory nature. That’s why groovy gadgets and marvellous machines became the fuel for these adventures. But heck, don’t Troy Tempest and Atlanta give Torville and Dean a run for their money when it comes to figure skating. Don’t get jealous Marina! And even dosed up with eggnog, our Aquanauts stay alert. Ouch! Poor old Phones takes a wack on the schnoz. Probably just as well that he didn’t try the chimney. The clips are from the Stingray episode A Christmas to Remember.